Why is boosting your immune system important? Here's the thing: it works way better to boost your immune system and keep it working at peak efficiency all the time to PREVENT infection than to try and take something to jumpstart it once you’ve already gotten sick. A fringe benefit: Boosting your immune system isn't just for colds and flus. Not a lot of people know this, but boosting your immune system is one of the best ways to prevent cancer too. One of the major functions of some of your immune cells is to seek out and destroy cancer cells- that way the disease never really gets going. 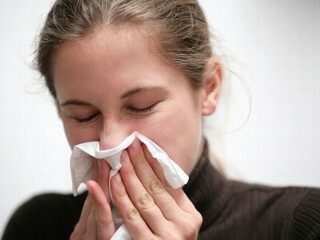 Unfortunately, as you age, there is a noticeable drop in your immune function, especially by your 70’s & 80’s. You actually produce as many immune cells as you always have, they just don’t work as well anymore. (Kind of like everything else as you get older right?) The simple reason for this is that your immune system is also the victim of free radical damage. Boosting your immune system is pretty tough when you have constant destruction from free radicals. The immune cells themselves (T-cells, natural killer cells, etc) are damaged. Next, they knock out the cytokine pathways (communication between immune cells)- they can’t operate properly without communicating. And last, but not least, it upsets the delicate balance of free radicals that macrophages use to work. Macrophages actually release their own free radical, nitrous oxide, to destroy bacteria, parasites and viruses. If the free radical/antioxidant balance is out, the nitrous oxide ends up destroying the macrophage also. So the best way of boosting your immune system is to load up on free radical fighters- antioxidants! Of course! There has been more research on vitamin C and it’s role in boosting the immune system than any other nutrient. Specifically, it increases the production of white blood cells and antibodies. It also increases interferon, which basically coats your cell surfaces, preventing the entry of viruses. It boosts your immune system by increasing the production of natural killer cells- important for destroying germs AND cancer cells. It also increases B cells, which are responsible for making antibodies to fight specific germs. Supplementing with vitamin E has been shown in many studies to reverse some of the decline in immune response that is seen in aging. Your cells have receptor sites, which are like parking spaces that allow germs and other toxins into the cell. Bioflavonoids take up these “parking spaces” so the germs won’t have access to your cell. I can give you a personal testimonial of how great antioxidants are at boosting your immunity. I started taking antioxidant supplements and giving them to my family because I wanted to take advantage of the health benefits. It was basically health insurance. I never expected to feel any different. Now, my husband and I get only 1 cold a year and my kids get 2 or 3 (they're still quite young and in school after all). 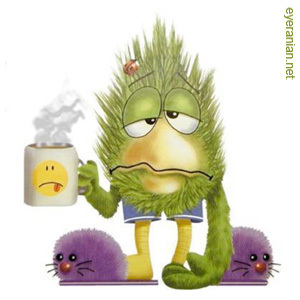 When we do get sick, it's barely noticeable and it only lasts 4 or 5 days maximum. I used to be stuffed up for at least a week and have a decent cough for a couple of weeks. Now, I don't even get stuffed up and I don't get a cough at all. It's really just a small annoyance for a couple of days. For me, taking an antioxidant supplement is totally worth it for the lack of sickness alone. The fact that I am protecting myself from future health problems is an added bonus. But you have to choose the right antioxidant supplement to actually get these benefits. Click here to get my recommendation of the best antioxidant supplement. Antioxidants work by boosting your immune system ahead of time and PREVENTING disease from getting a foothold in the first place. Once you’re already feeling sick, it’s too late at that point. So loading up on orange juice at the start of a cold only helps increase your fluids. Sorry! But now you know what to do to prevent the next one.